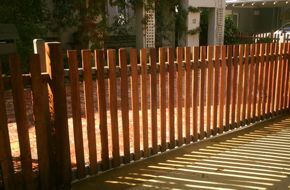 We are professional fencing contractors based in Perth, Western Australia. 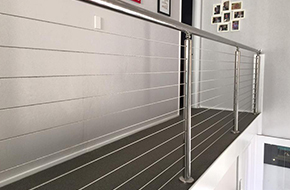 At Eline Fencing, we pride ourselves on quality fencing products and reliable service. 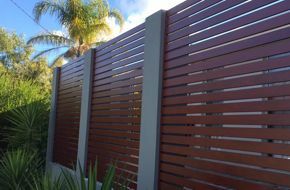 We specialise in all aspects of residential and commercial fencing supply and installation. 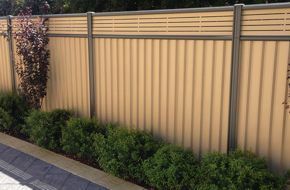 We can help you with all types of Colorbond Fencing, Aluminium Slats Fencing, Pool Fencing and Balustrades. 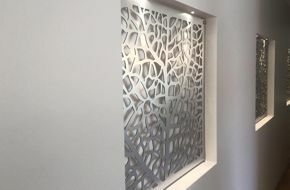 We can also supply and install Modular Wall Systems, Laser Cut Screens and all types of Timber Fencing. 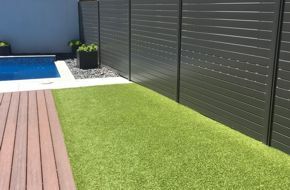 With many years of experience in the fencing industry and a solid reputation as professional fencing contractors in Perth, we know that our attention to detail and quality work is what makes us stand out from our competitors. Call us today. takes the hassle out of getting a professional and fair quote. We offer all sorts of designs and colours available in the market to our customers. 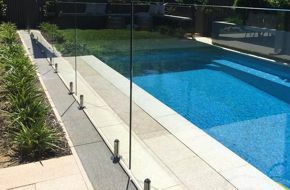 All of our aluminium products are Australian sourced and locally made and are backed by an industry leading warranty. We are so confident about the quality service offered that we have added to this a 2 years structural guarantee on any install. 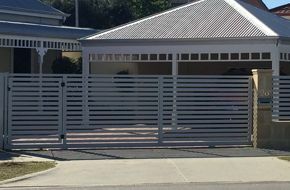 Let us install your new fences, rest assured as we will make sure you feel 100% satisfied and know that your gate or balustrading will stand the test of time! We only use the best materials available. Quality installation that will last. 2 years structural guarantee on any install. We handle your projects from start to finish. We do not subcontract any work.